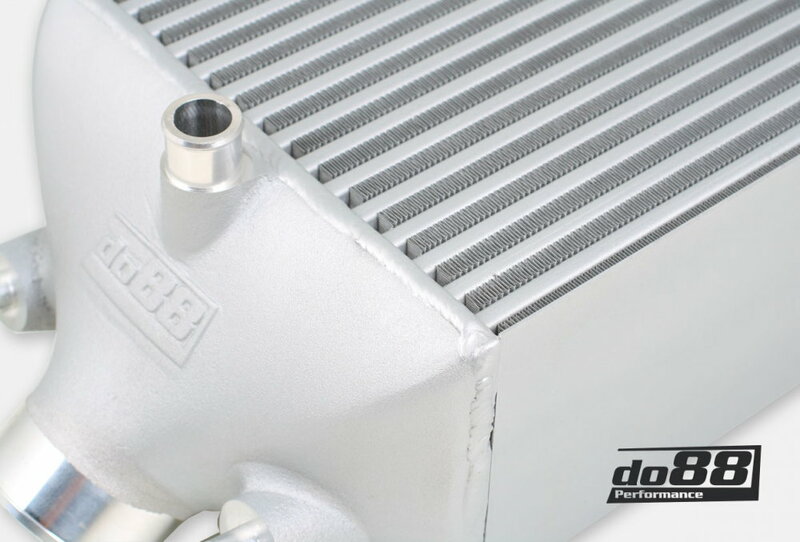 2 years ago we released the highly appreciated, well performing complete intercooler solution for the 997. Here comes the option for 991.1 and 991.2 Turbo/S! We are happy to present to the Rennlist forum members, our complete performance charge air, high flowing and great cooling solution for Porsche 991. 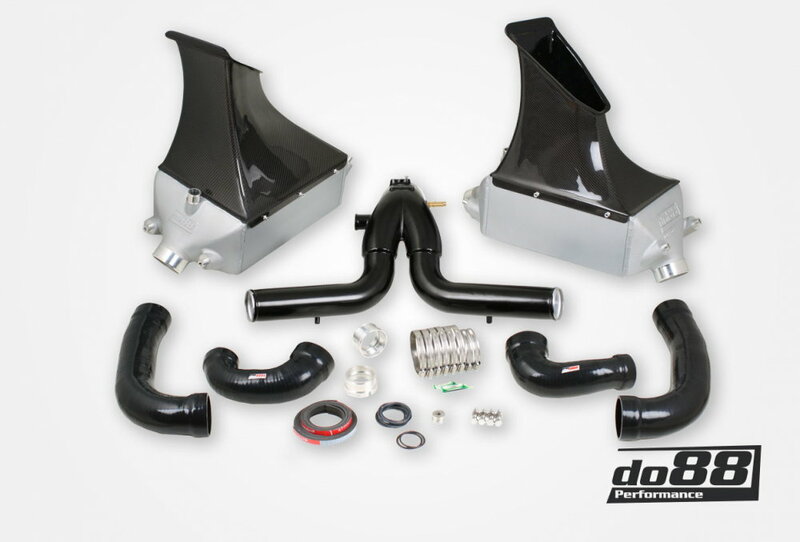 The complete charge air performance solution for Porsche 991 Turbo! 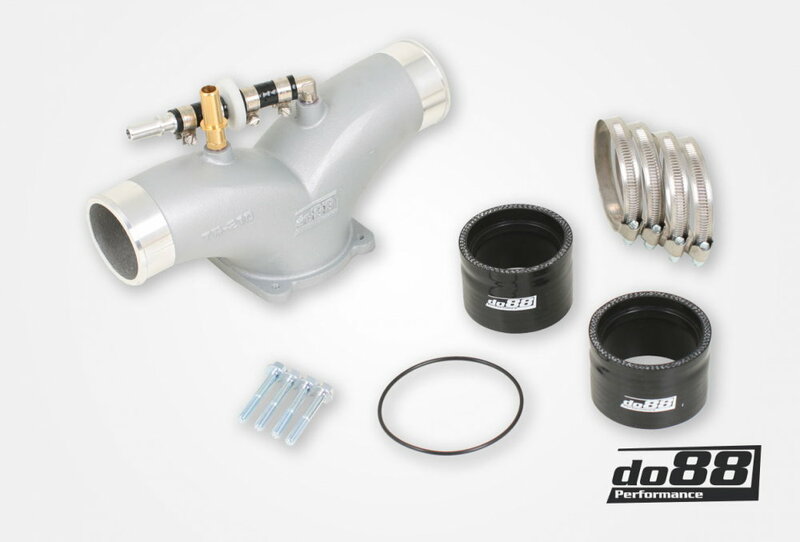 Comes at a package price and includes both our motorsport grade intercooler package and high flow Y-pipe with all hoses and accessories for installation. To furthermore enable for a better breathing engine our newly developed inlet hoses for the 991 can be purchase alongside these products. The intercooler kit and the y-pipe are great products alone. Used together they generate a great inlet temperature reduction, less backpressure of the whole system and thereby enabling more power. - Significantly improved Air flow! (see diagram below). - Cooler air to your engine! (see diagram below). - Top quality, high density UK-made motorsport cores. - 3D freeform designed cast end tanks. - Custom designed carbon fiber ambient air guides. 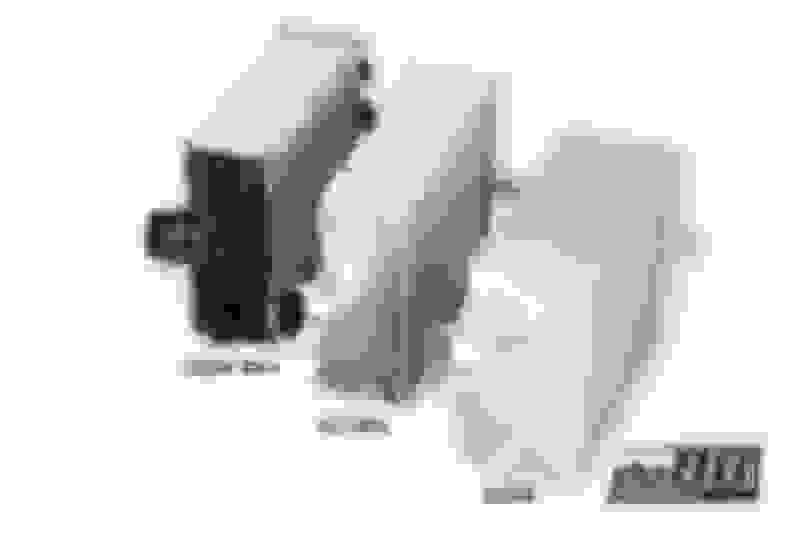 - Assembly air flow at 0,175bar/2,54psi pressure drop: 790 CFM (602 CFM), do88 31% higher! - Y-pipe made of 2,5" (63mm) mandrel bent aluminum pipes. - Y-pipe cast, smooth flowing collector part. 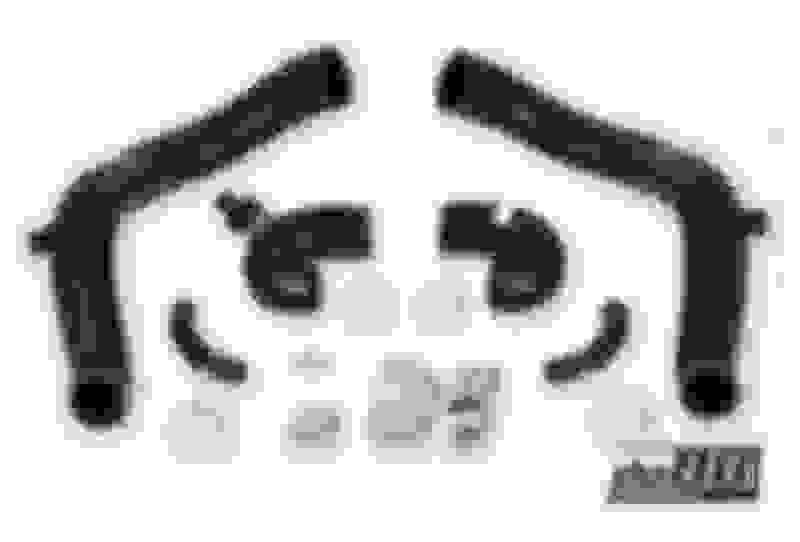 - Comes with high quality silicone hoses and accessories for installation. Already from the beginning we realized that we could not sacrifice anything to keep the cost down we just had to do the best possible in the space available in the car! First of all we made a lot of investigation and comparisons between different core types and at last really fell for a high density motorsport core which have great cooling efficiency among with a low weight. With a great core in place we started to refine the end tank design which brought us to a decision to make cast end tanks as we could then control the air flow distribution over the core in a very precise way. This is very important as a good tank design will be beneficial for both pressure drop and cooling efficiency. To be able to fit an intercooler with appropriate thickness for the job it was also necessary to design a new upper ambient air guide. This was designed in our 3D scanned environment to ensure perfect fit to the vehicle integrated air guides and our intercooler. 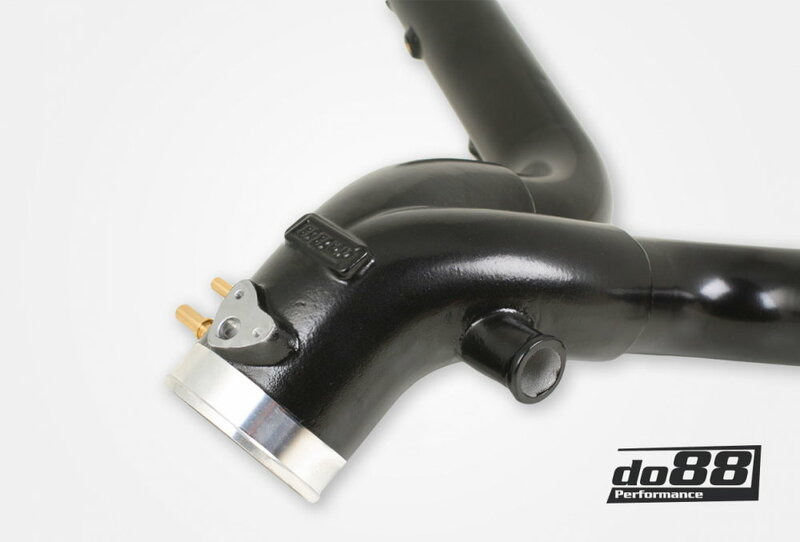 To achieve the best air flow distribution over the core we made intercooler end tanks with 70 mm (2 3/4 inch) connections which then made it necessary to designed custom silicone hoses for all positions. The hoses are 3D designed with airflow in mind where we CFD tested each hose during development to ensure best possible flow rate of all parts! The hoses between turbocharger and intercooler are special silicone hoses that can withstand up to 240°C (464°F) continuous temperature! Another important aspect for cooling performance are to use all ambient cooling air available, to optimize this part we include air block rubber seals for all surfaces where the ambient air guides must seal properly. With this way to build our intercoolers the weight increase compared to the OEM ones was relatively small considering the size of our intercooler and that its all made of aluminium. 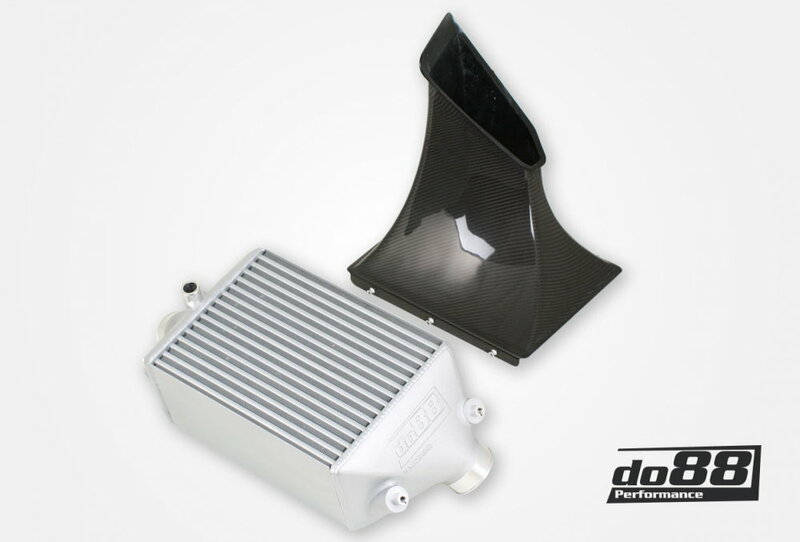 Our intercooler weight is 5,4 kg (11,9 lb) per piece and the 991 OEM intercooler weights 3,1 kg (6,8 lb) per piece. It might sound like a big weight increase but compared to other actors on the market with intercoolers in this size it's a low weight! In the beginning of the development process of this product we spent a lot of time thinking what would be the preferred way to build a Y-pipe and here is the result of our conclusions and development process! Our pipe have both a very good flow rate and a low weight which is accommodated by composing mandrel bent lightweight pipes with a high quality 3D freeform designed cast joint between them. Onto the cast part we then welded CNC-machined connections for bov and breather hoses. This construction adds a lot of performance but only a tad of extra weight. The pipes are then finished in a high quality powder coat that makes them look as good as they perform! At the same time as our BigPack lowers the intake temperature it also flow better than the 991.1 original intercoolers! 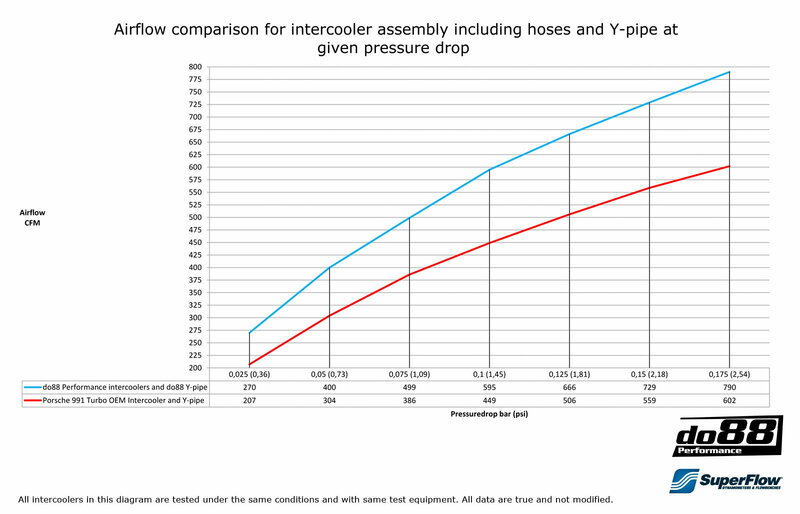 Please have a look at the air flow rates at different pressure drops in the graph below where we compared our BigPack to the original intercooler and Y-pipe in our own Superflow SF-1020 Probench to verify the final result! The price is 3748 USD excluding the inlet ducts and plenum. The Y-pipe comes in black powder coating. The products can be purchased separately as well. 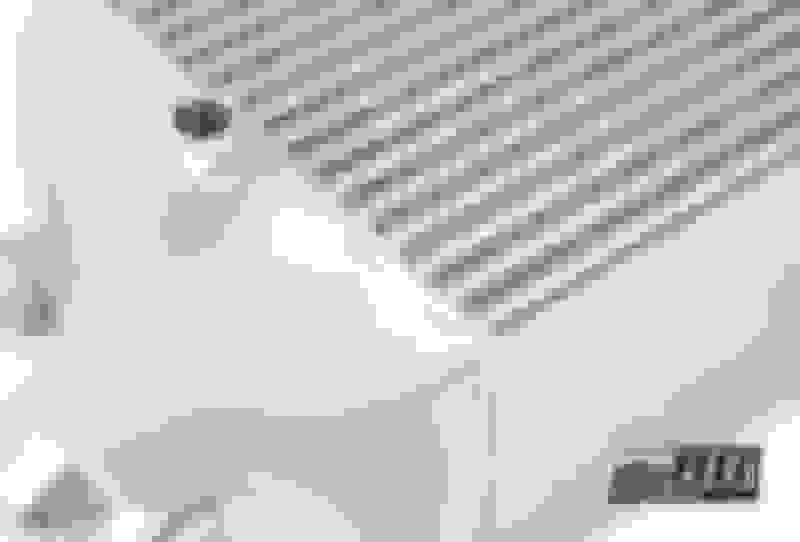 Press any of the pictures to get to the product! Fell free to shoot us a PM or reply here if you have any questions! I REALLY APPRECIATE temperature data and flow data like this from a manufacturer. 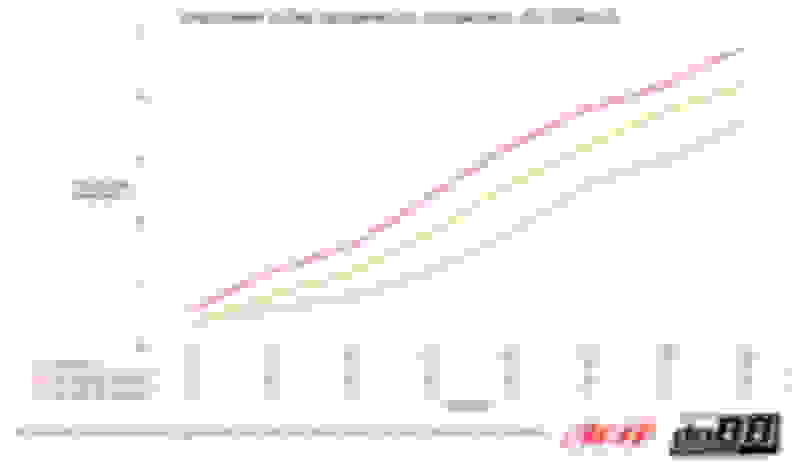 Is the temperature data from a pure stock tune 991 turbo or was boost added. Thanks ! 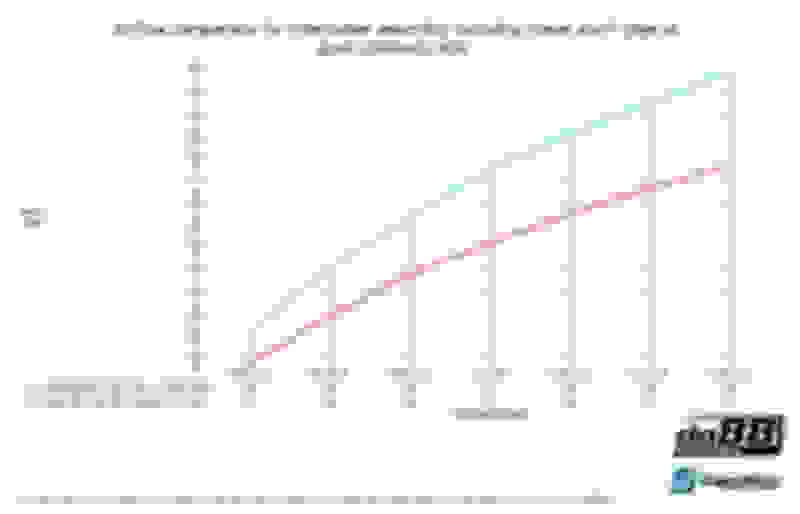 Any data or reference for road course use. This is the most challenging situation where sessions can be 20 minutes or more maximizing full throttle. The short dyno pulls provide some visibility, but look forward to more re long hard runs. What I like about this kit is that it is a complete system that works together including the hoses. I believe the tube and fin intercooler core design lends itself better than bar and plate for road courses especially given the fact that our coolers are not mounted in front where damage can occur from road debris but I do not have the data to back that up. I am sorry but this is nothing that we have available. 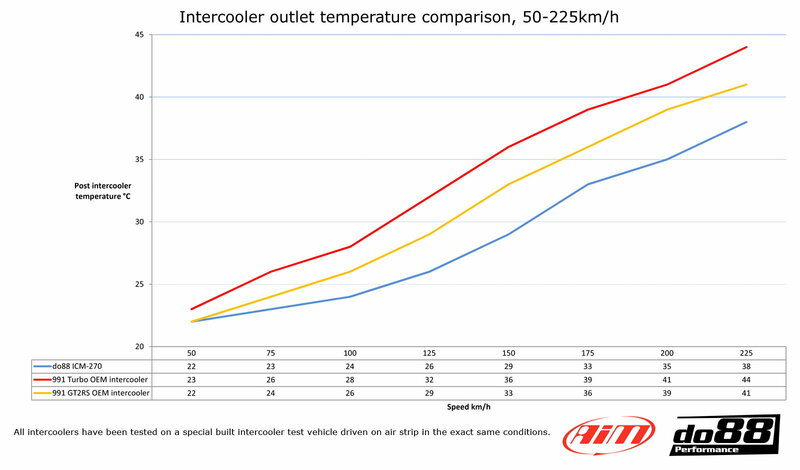 The temp chart is from a pull on a closed air strip but not from track driving, no.